Hooked to the glamour world of starts and all things stylish? So are we! That is why we bring to you this chic and trendy exclusive designer kurti with unconventional style element. Curated out of finest quality of poly. Georgette, this white coloured beauty is designed exclusively to serve the fashion cravings of style addicts like you. 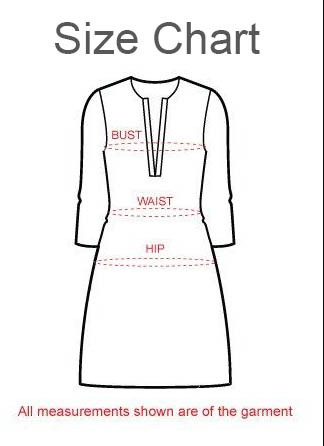 The front open style adds to the casual yet classy look of the kurti. The extraordinary digital print design that lines the borders and cuffs lifts up the whole look. This short kurti is the essential casual wear that keeps you in comfort.